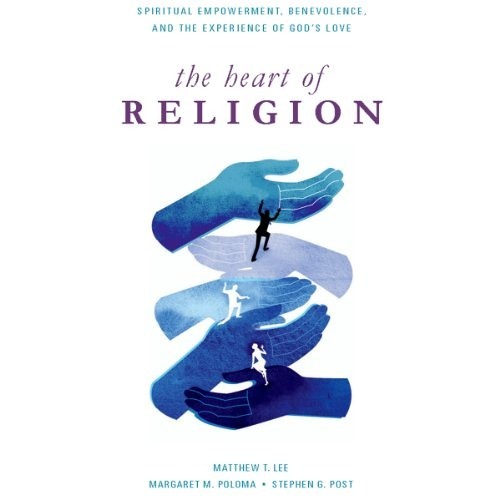 The Heart of Religion by Matthew T. Lee, Margaret M. Poloma, and Stephen G. Post on Audible: http://www.audible.com/pd/Religion-Spirituality/The-Heart-of-Religion-Audiobook/B00I8NOXMM?source_code=SCLGB90BWWS031714 Summary: Beneath our culture's obsession with wealth and power, status and celebrity, millions of Americans are quietly engaged in a deeply religious struggle to free themselves from petty selfishness and to embrace a life of benevolence and compassion. Drawing on an extensive random survey of 1,200 men and women across the United States, Matthew Lee, Margaret Poloma, and Stephen Post here shed new light on how Americans wake up to the reality of divine love and how that transformative experience expresses itself in concrete acts of benevolence. The authors find that the vast majority of Americans (eight out of ten) report that they have felt God's love increasing their compassion for others, one of many important revelations uncovered by the survey. In order to more fully flesh out the meaning of the survey's results, the authors also conducted 120 in-depth interviews with Christian women and men from all walks of life and from across the country who are engaged in benevolent service. Their stories offer compelling examples of how receiving God's love, loving God, and expressing this love to others has made a difference in the world and given their lives deeper significance. As a result, some provide community service, others strive for social justice, still others seek to redefine religion and the meaning of "church" in America. Interviewees who may have grown up with judgmental images of God tended to trade them in for a loving and accepting God more consistent with their own emotionally powerful personal experiences.